There’s something about festivals that make me want to come back for more. But as years went by my attitude towards it changed. As a teenager, festivals like Glastonbury and Benicassim were stories that I read only in music magazines and saw on television. When I moved to Europe, it was one of the points to do in my bucket list. 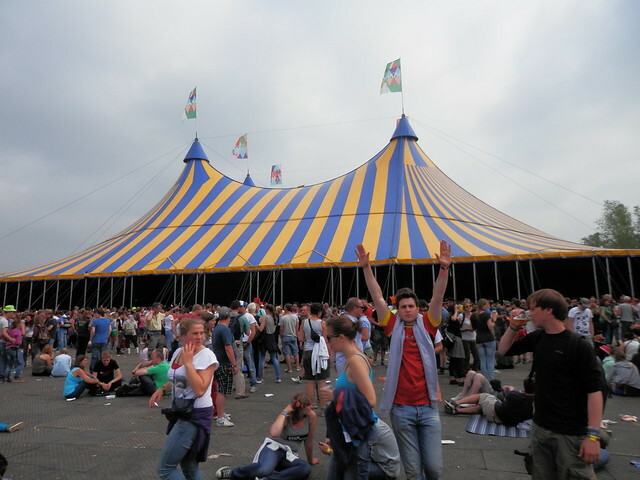 I went to my first European festival in Werchter back in 2009. Rock Werchter is Belgium’s biggest festival and is known for being one of the best in Europe. It was as if I went to music heaven to see all my favorite artists all in one place. I and my friends were treated to a great selection of music in an atmosphere that smell a mix of booze, weed and nature. 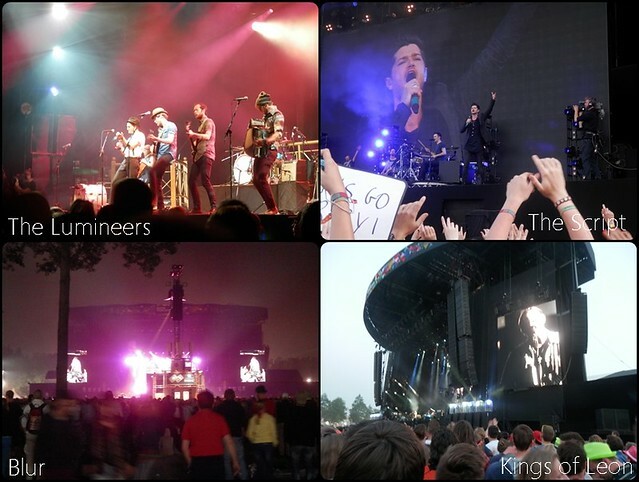 Jason Mraz, Bloc Party, the Killers and Coldplay headlined on the day I went and I wasn’t disappointed. In the Philippines, it’s only in dreams where you’ll get a chance to see them all together. And even if it happens, it will be five times more expensive. There were more than 50,000 people then but I didn”t mind the crowd. 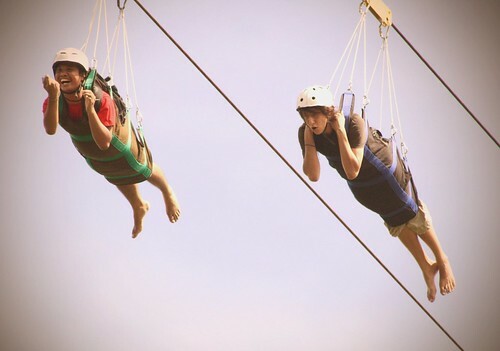 They even heightened the experience. 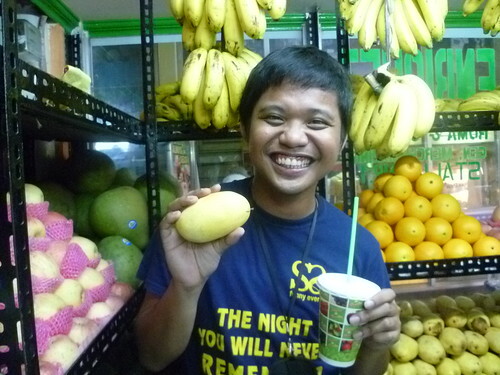 I remember one moment where we joined the crowd singing Viva La Vida as we walked towards the bus station. Last year, I accidentally went to Belgium’s Tomorrowland. It wasn”t particularly the music that I normally listen to but I had fun. It was a massive party and definitely something someone should experience once in their life. 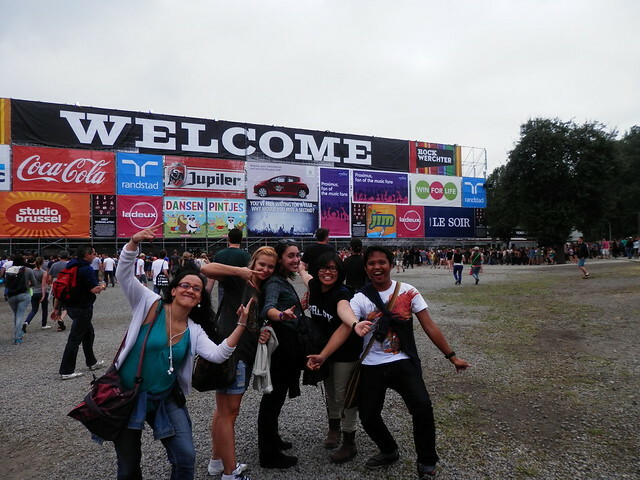 This year, I decided to go to Rock Werchter again. I had the same expectations as in 2009, and I know that my preference had changed, so the experience was different. It was great and hardly had any regrets, but I accepted the fact that it wasn’t the same anymore. I still like the music and I didn’t mind the crowd of 80,000 people in general but having to sift to the crowd just to be able to hear from the stage sucked the fun out of the experience. I had a few beers but I knew that I wasn’t there to get drunk. 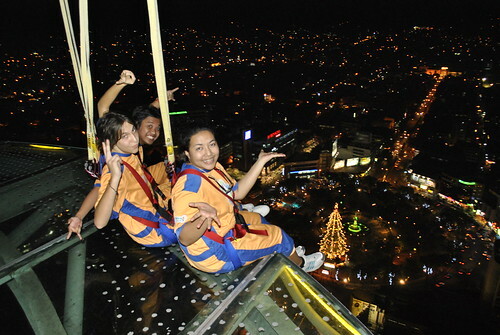 At some moment, I was pissed with the other people who kept on stepping on us while we were seating. I didn’t feel the same euphoria as the last time. I danced and sang with the music, but the feeling wasn’t the same. I felt that it was dirty, smelly and I was relieved when I finally left the festival. I slept on the train station. It did the same three years ago, but this time I regret that I didn’t pay for a hotel instead. Will I be going to a festival again? Definitely. I’m already planning which ones I’d love to go next year. I had complains but in the end I realized that I should have come with lower expectations. It’s an attitude that I think didn’t only cover festivals, but my feeling towards travel in general. After being on the road for five years, my expectations have changed. I now make conscious choices that values comfort more. I pick hotels over hostels, prefer quiet drinks in a pub over partying until dawn, and wake up early than nursing a hangover until afternoon. My preference may have changed and priorities may have evolved, but the spirit remains. I have to accept the fact that it’s time to grow up and that I grew up. Backpacking in Europe is almost a rite of passage for all of us non- Europeans. It’s what we all dream of for the summer right after high school and before university. 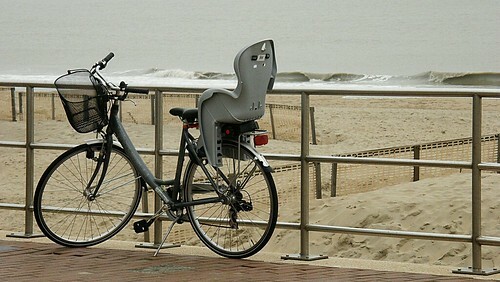 And tourism in Europe caters to this. Youth hostels are abundant and cheap, public transportation domestically and internationally is excellent, and for the less independent, a variety of whirlwind European bus tours exist. For many, a trip Europe includes stops at all the big names – London, Paris, Rome, Amsterdam, and maybe even Berlin. But one country which is all too often overlooked is Belgium. Belgium is conveniently located near Germany, France, and the Netherlands and can be easily reached from any of those countries. Belgium is also a compact country, which makes it very convenient to travel in. You can go from one end of the country to the other by rail in under four hours, and as you will see, it is packed with reasons why you should not pass it up. Belgium is made up of three main cultural groups. The German speakers, the Walloons (French speakers), and the Flemish (Dutch speakers). 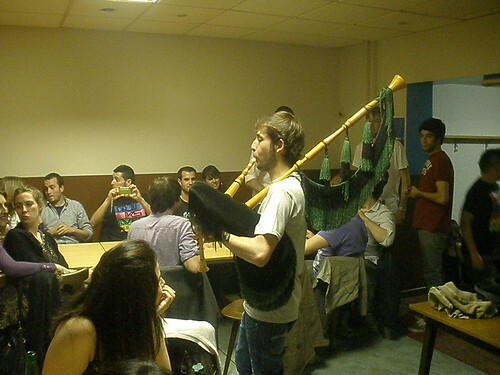 Each region is unique, with their language, art, food, and politics. Although it can be challenging for those new to the country to read a map (each city has both a French and a Dutch name), it also lends a very cosmopolitan feel to be able to hear the locals converse in several different languages. In tiny Belgium you can really find a little bit of everything when it comes to the vista. Sandy beaches can be find in Oostende, along with rolling sand dunes which provide an otherworldly experience to hike around. 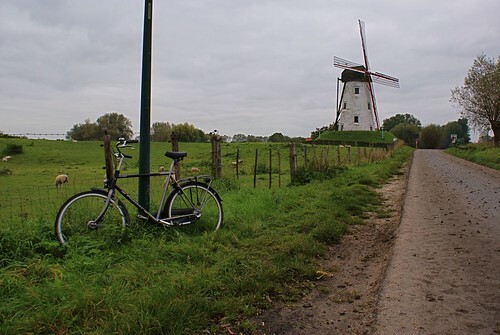 The flat plains of Flanders, dotted with windmills provide a stark contrast to the rolling hills of the French speaking Ardennes with their small towns and old monasteries. And for the most die hard of city breaker, there are plenty of urban areas to explore, all within a short train ride from each other. Belgium is not instantly thought of for its culinary delights – but it should be. 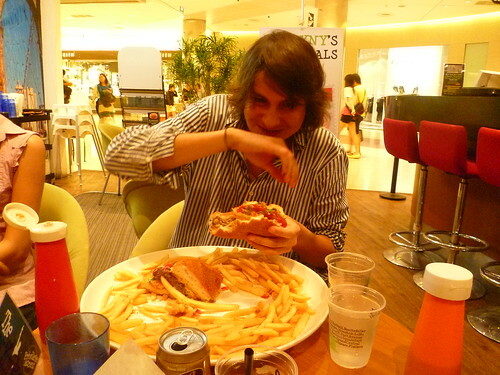 Although, most of this food is not very good for your waist line. “French” fries, as any Belgian will inform you, were actually invented here – and of course, should be enjoyed with both mayonnaise and tomato sauce. And after a good dinner of frites (potatoes count as a vegetable right? ), you can not forget the amazing Belgian desserts. Waffles and chocolate should be eaten in as much quantity as possible when in Belgium (in my opinion). Even the cheap chocolate is amazing in Belgium. Even the chocolate that comes out of vending machines is amazing in Belgium. And if you do spurge on some of the grommet chocolate – then you better be prepared for a mind blowing experience. 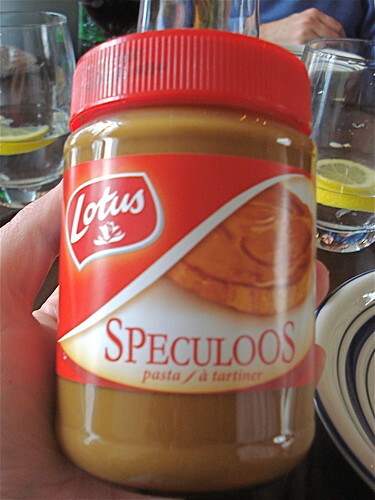 Although, after time it is possible to become tired of gorging yourself on chocolate and french fries (I’ve been told), so rest assured, there are some more wholesome Belgian specialties as well. Why not try to kilo of Oostende mussels …. cooked in beer? 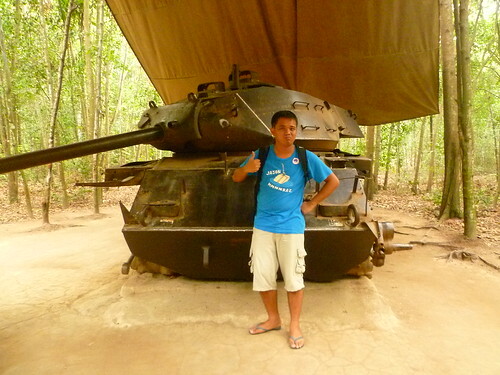 Which brings me to my next point…. Don’t listen to the Germans – it’s the Belgians who are the masters of the beer. 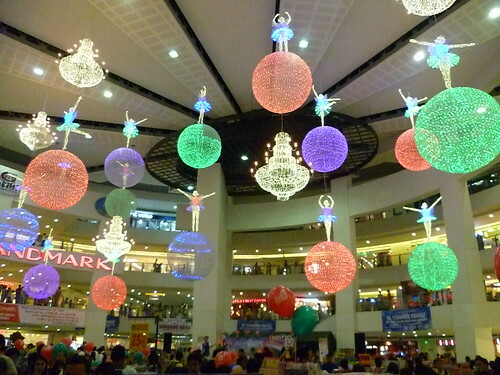 And with over 700 different varieties, everyone is bound to find something that they like. 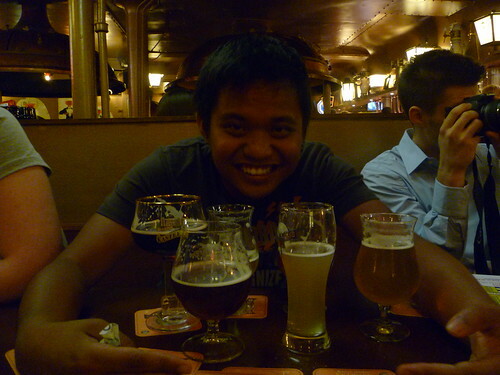 Before I moved to Belgium I actually hated beer. I hated the taste, I hated the smell – I hated everything about it. I started off simple (and girly) by trying as many of the fruit flavoured beers as possible. Kriek – a cherry beer is a great way to ease yourself into enjoying beer. Before I knew it, I was an avid lover of dark beers, and would enthusiastically try to drink my way through the beer cafe’s extensive menus. 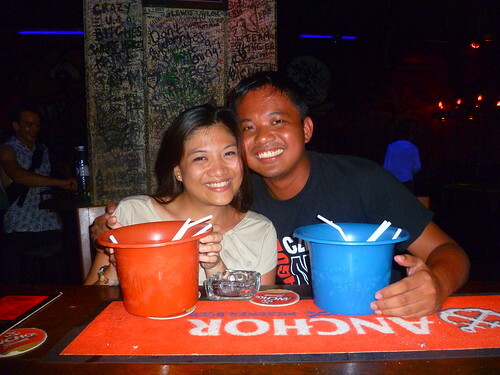 One at a time of course – I am a weak drinker. 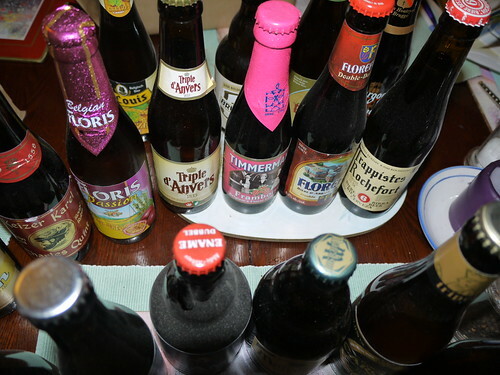 Belgium also produces six of the seven world famous trappist beers. Trappist beers are brewed by monks in a monastery, and all profits must go to either the monastery or to social programs. The most famous, and difficult to obtain, is Westvleteren beer, with only a limited amount produced each year. The most famous internationally is probably Chimay, while my personal favourite is definitely Orval. Still not convinced? Do you hate all beer? Well Belgium also has its own signature spirit. Jenever is a type of gin and comes in a myriad of flavours. From the traditional jenever, to fruit flavoured jenever, to even creamy jenever (hazelnut is amazing!) – there is really something for everyone. 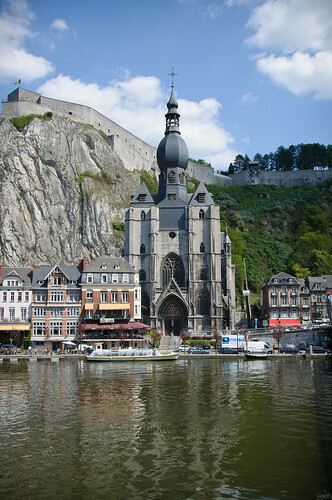 Lovers of history will find their itineraries packed while in Belgium. Belgium was the site of several WW1 and WW2 conflicts, and those interested in military history will of course want to visit Flanders Fields and the Ypres war memorial. For those who love beautiful medieval architecture will find everything they are looking for in Bruges (although you will also find a lot of other tourists as well), and for those who love Art Nouveau will love wandering through Brussels which has been recognized as a UNESCO world heritage site for its iconic Art Nouveau houses. Also not to miss is the old fortress in Ghent, the citadel in Dinant, and the glittery Grote Markt (town square) in Antwerp. So why not give Belgium a try? Despite being somewhat of a wallflower when it comes to international tourism, Belgium offers so much to tourists who give it the time. There is really something for everyone packed into this small country, and once you have seen it all, it is just too easy to jet off to yet another European destination. Let the European backpacking tour begin! This is a guest post by Jade Johnston. Jade Johnston is a writer at OurOyster.com – the website for budget travellers, long term travellers, and the simply adventurous. She and her partner currently live in Australia and are planning an epic overland trip all over this great country. You can also find her on twitter and facebook. Travelling to Europe doesn’t come cheap, we know that. 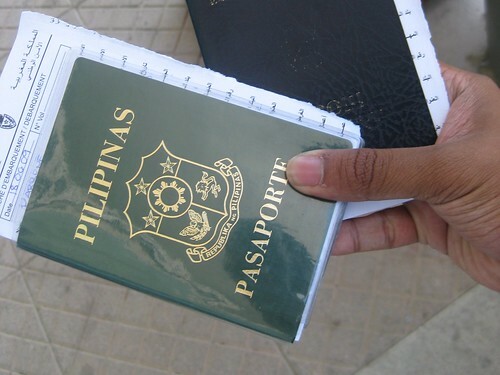 Airfare from Manila is already expensive costing at least 30,000 pesos return. It’s no wonder that trips to Europe are often reserved to those with deep pockets. Doing good research before a trip helps in managing the budget. Read travel blogs and forums as they offer tips on what to see and how much is needed to see them. Museum websites, for example, can give you dates to getting in free. 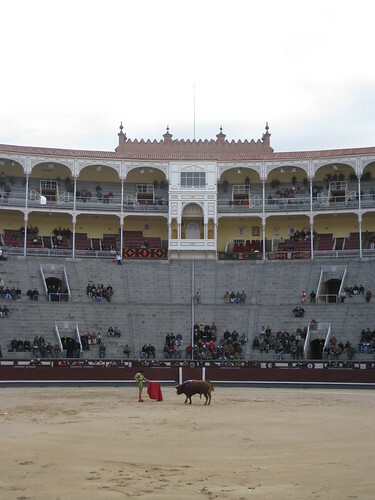 Paris’ Louvre (first Sundays / Friday evenings for under 26) and Madrid’s Prado museums (from 6-8pm Tues-Sun) both offer free entrances on certain dates and times. 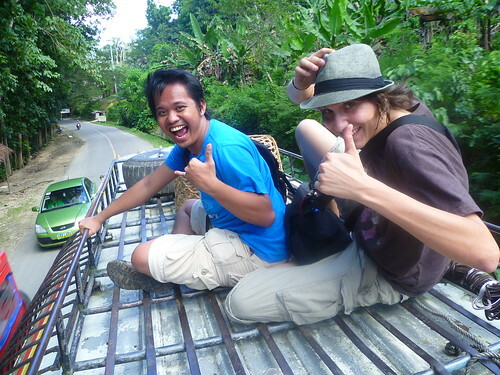 Couchsurfing is a great way to meet local people and get free accommodation as well. The website offers over thousands of hosts with “couches” to surf into. It’s also a good way to experience local living. Giving out a simple gift or helping out with household chores often is enough to pay back for their hospitality. Europe has the best parks in the world– and most don’t cost a Euro to visit. They’re beautiful and usually donned with trees, bike paths and old monuments and statues. It’s a good place to relax and still feel the city’s vibe. During summer, parks also play host to free concerts and street performances. My personal favourites – Parc Cinquantenaire in Brussels, Retiro Park in Madrid, and Vondelpark in Amsterdam. When in a new place they say to “do as the Romans do”. This comes with dining too. Avoid tourist dining establishments if you can. Find places where locals go and try some local flavour instead for an authentic travel experience. They serve good perhaps even better food at a lower price. For those who want to take shoestring travel to the next level, head to a supermarket and get ready-made salad or sandwich. Stack up on water as well for your day trips. Another cheap alternative is to cook at your hostel or at your host’s place. 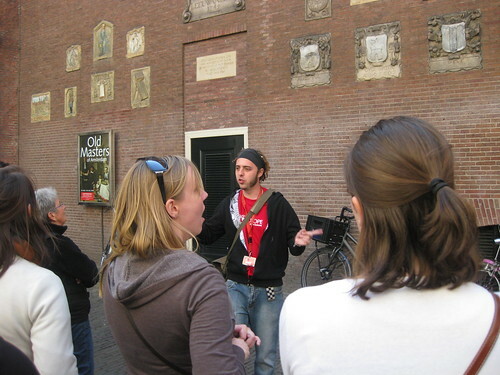 Keep an eye for organisations like the New Europe tours, that offer guided tours around most big cities. 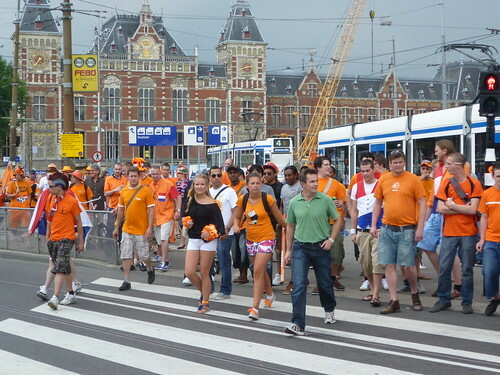 It’s a great source of information about the city and a good way to meet other travellers. It’s completely free yet they do accept tips for those who enjoyed the tour (which is often the case). Public transport is already a good way to travel cheap around but to those seeking a richer travel experience, best is to hop onto a bicycle. 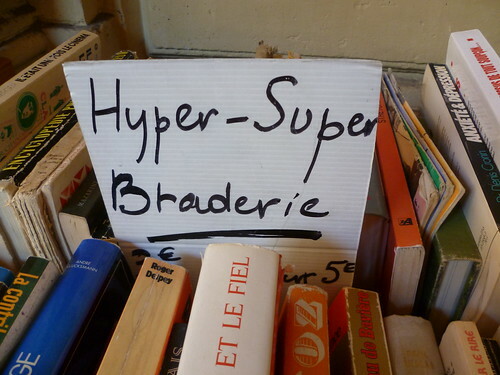 It’s a cheap (and healthy way) to jump from various sites. You can go around at your own pace and can control which route or area you want to see. 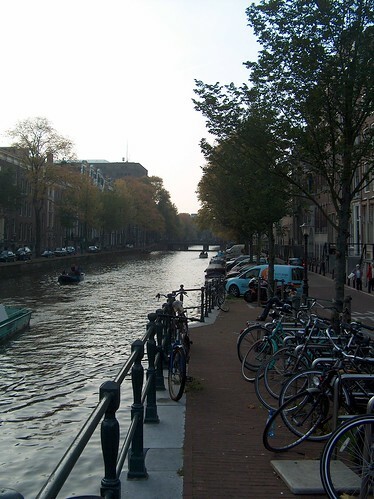 Smaller cities like Amsterdam & Brussels can easily be navigated with a bicycle. In Brussels, check out Villo which rents out bikes starting at 1,50 euro a day. What are your tips on travelling on the cheap in Europe? Share your tips on the comment section! 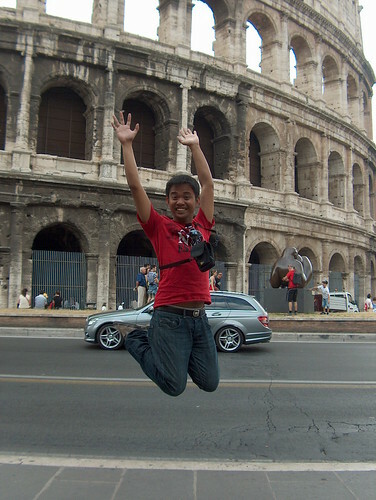 For most of my travels in Europe, I’ve tried to do a bit of a novelty (well, it was sort of a novelty then) by doing jump shot photos. We had loads of fun doing it and often people would stare at us and laugh at our every attempt. It takes a lot of jumps to take a good one, often times it will take several shots before you get a shot where everyone is off the ground. It’s somewhat of a science with a camera that I’m proud I had mastered. 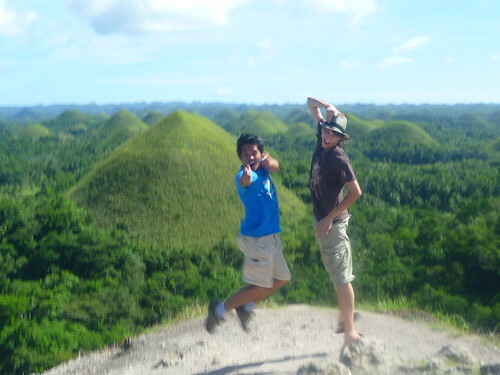 Even my mom has been proud of my jumping shots, telling her friends that I started the jumping photo craze. 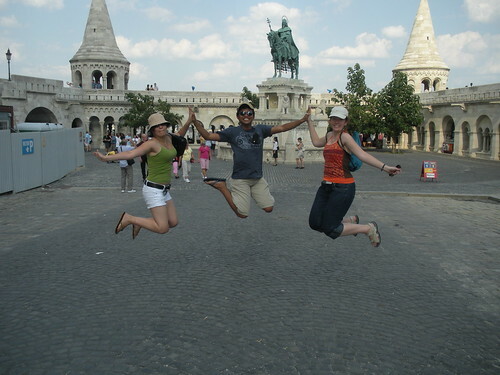 I’ve taken jump shots from 13 out of 14 countries I got to see in Europe. I’ve only missed taking one when I was in Slovakia because I lost my camera the day before I went there. I’ve taken jumping photos seriously that I’ve even won Don’t Ever Look Back’s jumping photo contest. 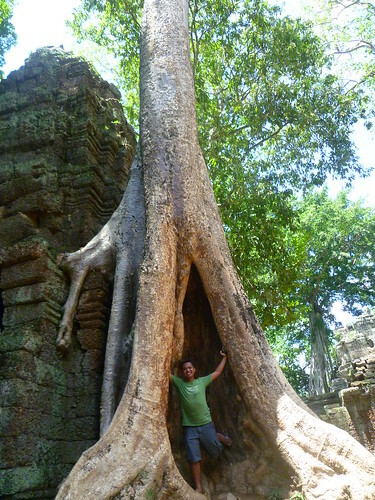 Here’s a good round-up of some of the photos I’ve amassed during my travels. 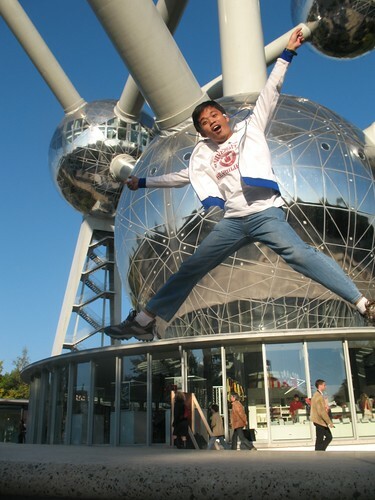 Brussels, Belgium: Took me and my friend Rasha more than 40 photos to take a perfect jump shot while on a visit at the Atomium in Brussels. Paris, France: Wow, this was one of my big dreams! 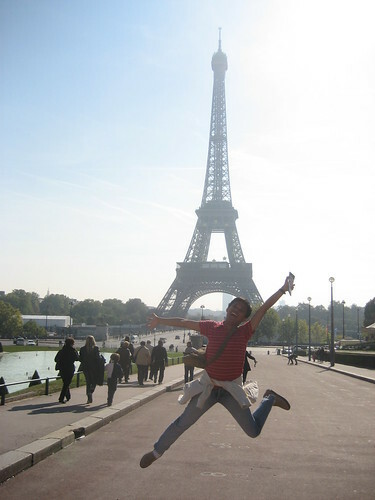 To jump next to Eiffel Tower – definitely one of my most iconic and my personal favourite. 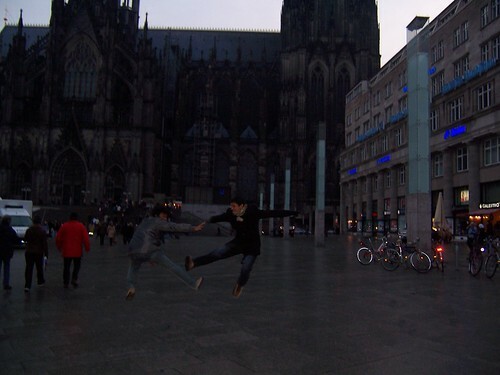 Köln, Germany:We tried doing a Bruce Lee kung fu shot in front of the famous Köln cathedral, it wasn’t the best one though. Prague, Czech Republic: We were a big group when we went there for New Year’s Eve back in 2008. And doing a jump shot with a huge group of people is an ordeal. We tried several times across different places to get a good one, and we got stuck on getting the good shot at our hostel the day we were leaving the city. 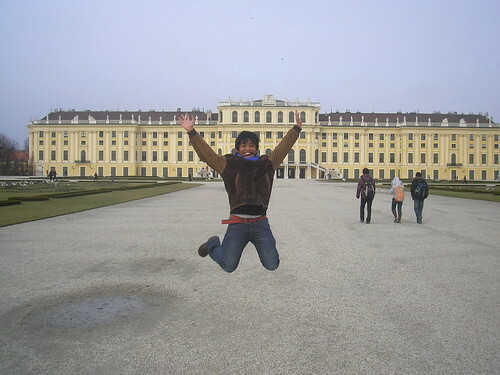 Vienna, Austria: In front of Schonbrunn Castle, Vienna. 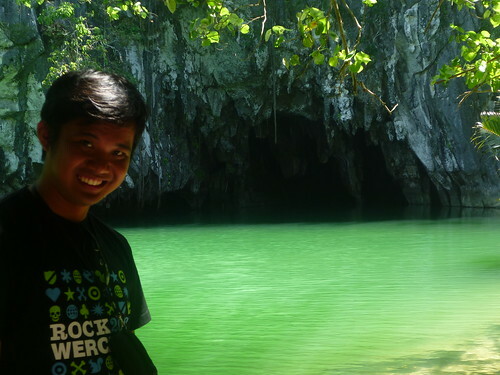 I heard this place is beautiful during summer, but we went there in February so it wasn’t that good. 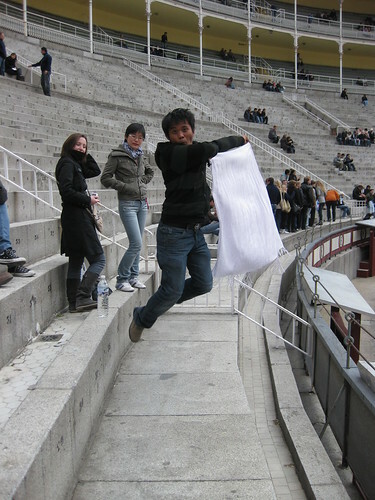 Madrid, Spain: While waiting for the bullfight to start, I decided to do some crazy leaps with my friend’s scarf as bullfighter flag – good thing it wasn’t red. 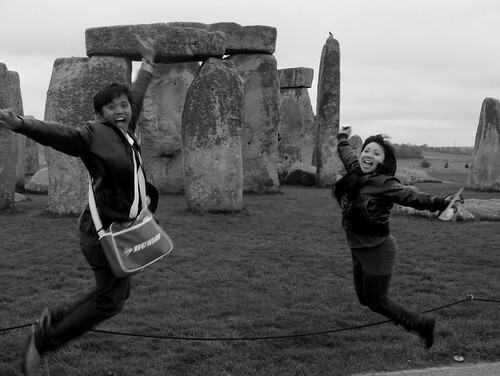 Stonehenge, United Kingdom: Despite the crowds, we manage to steal a few jump shots in front of Stonehenge. Luxembourg, Luxembourg: By this time, we were so used to taking these photos that we were taking some organised jump shot to kick in some novelty. Here we are at a park in Luxembourg city. 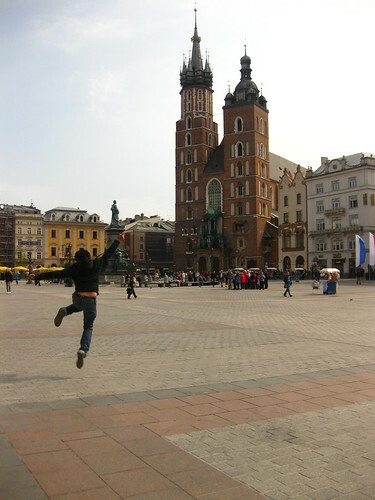 Krakow, Poland: This was taken at the square in Krakow, Poland – one of my favourite places in Europe. 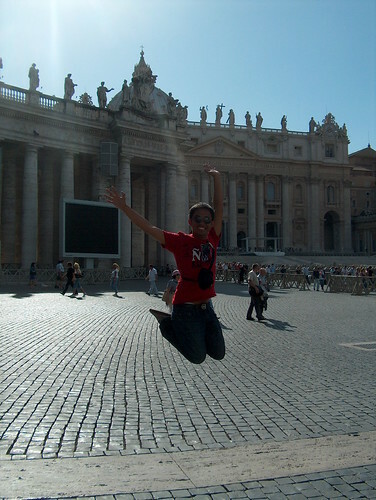 Rome, Italy: I had some of hostel mates take this photo, it’s not one of my best, but a jumping shot to say the least. Budapest, Hungary: This one is taken at Fisherman’s Bastion in Budapest, Hungary. What crazy photos have you taken on your trips? 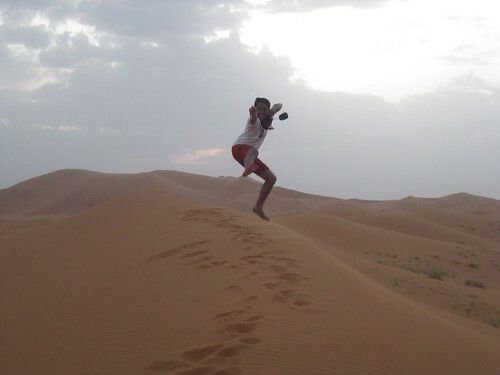 Have you taken some great jump shots? share the links below! Starting My 7 links post was difficult as I don’t have much material to begin with. It’s been only a few months since I started theblog and with only 13 posts to date, there’s not much material to work on. I’m not new to blogging and I’ve been writing my thoughts since 2005. 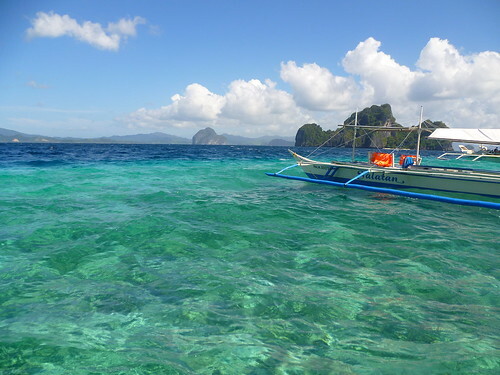 But I’ve had moved from one blog platform to another, hoping it will bring the writing sparks back and 25travels was my latest – and my blog solely for travel. I’ve written a few travel posts in between for my family and friends to read. But for the purpose of this exercise, I’ll try to keep it within my 25travels posts. I originally wrote this post for the Matador Network. However, I sent it haphazardly then forgot to proofread and it was eventually rejected (that’s why bloggers, it’s key that you proofread). I’ve since rewritten this piece and decided to upload it here instead. I lived in Brussels for two years and it goes without saying that I miss the city and my friends there a lot. Writing this post brought back memories from my time there. Brussels became my second home, and writing about a place where a part of you remains needs some thought and lots of crafting, that’s why I consider this as my most beautiful post. I’ve put much thought in order to reflect my feelings for the city and the experiences I’ve had there, hoping that people who haven’t been to Brussels will have the same feeling as I had. My most popular to date is my recent post on countries to visit for my 25-country goal. I’ve gotten my best amount of page views and social media sharing from this entry. 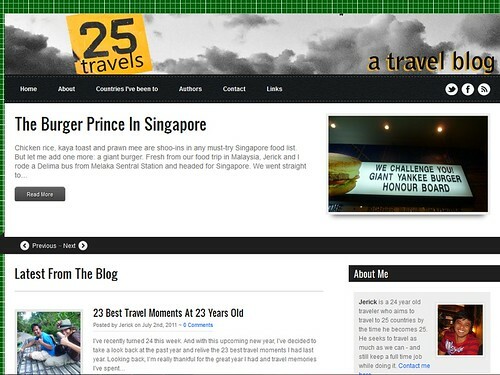 At the same time, comments and suggestions from travel bloggers had made it useful for my upcoming trips. Now, I definitely am excited to boost my travels again! Their advice will definitely help and I’m excited to pack and get myself back on the road again. 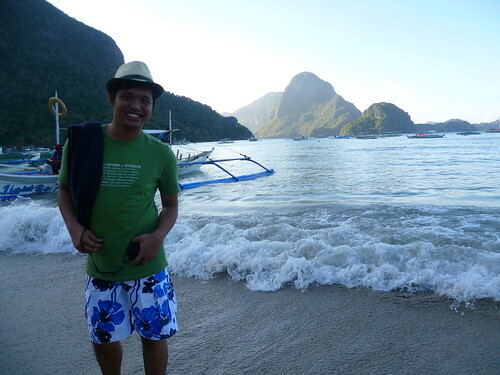 25-country travel: Why That Travel Goal? The almost empty comment box on this post might not say anything about being my most controversial, but I do get lots of questions and emails about my travel goal of visiting 25 countries before I turn 25. Mainly, words of encouragement and well-wishes for my future travels. But I do get an occasional response that I shouldn’t ‘rush’ travel and force myself to visit countries for the sake of finishing my goals this year. I’ve also received a feedback that I don’t need to ‘count’ the countries and in order to ‘travel’ I should go beyond staying a few days in one city. I do agree to some extent that travel should go beyond just a city visit and I would love to do so if money and time permit. We all have our travel styles and unfortunately, long term travel isn’t for me yet. Some people dictate that there’s only way of properly travelling which is to immerse yourself through long-term backpacking. But unfortunately, not everyone has that privilege and capacity to do so. I want to do it DEFINITELY, but I can’t at this stage. And despite only being in Spain or in Austria for a weekend – that experience had inspired me to look into the world with a different perspective. By starting this blog, setting this goal and working towards starting my travels, I’m hoping to inspire other people so see other ways of travelling. In the end, we are all travellers. Whether you have a full-time job, still in university, or a person short of money and time, nothing is stopping you from travelling and seeing the world beyond the confines of our four-walled homes. In the end, we all enjoy and reap the benefits of travelling – having an open mind and understanding that there is a world beyond our small piece of lot. This post comes from a horrible experience of having to go to Clark Airport ( Manila’s budget airport) early in the morning. A normal route that can be done with a 2-hour drive took me more than 5 hours by public transport (includes waiting time, missing buses and haggling for the ‘better option’). Bus schedules are unreliable so I had to wait for an hour before it left. Shuttles run when they are already full of passengers, which at 5 in the morning is virtually impossible. I’ve extracted this post from my own demise and translated my frustrations into a short and easy to follow guide for those venturing out in the same way. I’ve shared this post with many friends and travellers who will be doing this impractical journey to the airport from Manila and have gotten great feedback. I wasn’t expecting that this post will be my one of the most popular but if we based popularity on numbers, then this was it. It got a good number of page views and clicks from external sources. It even got re-tweeted by Melvin from traveldudes. But I’m not really sure what made it popular in the first place. 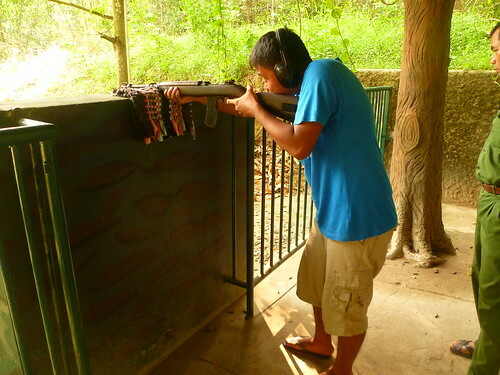 It’s a post I can describe as candid, it’s merely a telling of a story about the irony of the Cu Chi daytrip tour starting with a visit to Cao Dai temple and end up with shooting rifles in Cu Chi. I guess there’s love online for a combination of church and guns. I’m proud of this post simply because of the travel experiences I’ve encountered over the past year. 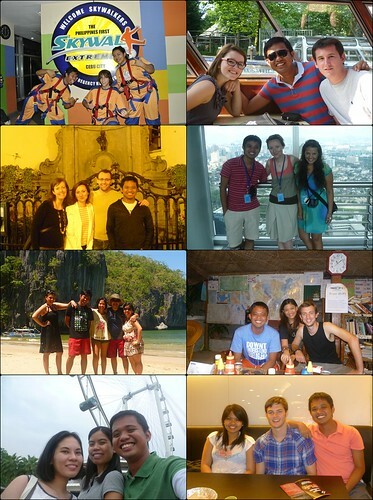 Looking back, it’s a good summary of what a great year filled with new places I’ve seen and people I’ve met. The fact that I’ve seen Angkor Wat, rode a zipline and experienced a great World Cup finals (even if the Dutch lost) – is something that I’m proud of. The world is beautiful and I’m happy that I’ve got to experience a lot during the year. Hope to continue this crazy adventure this year and the next! Brussels, much like the country where it sits in, can be small enough that you can cover many places in a single day. It’s often overlooked as merely a crossroad for travelling between Amsterdam,London and Paris, but stay longer in Brussels and you”ll be in for a treat. 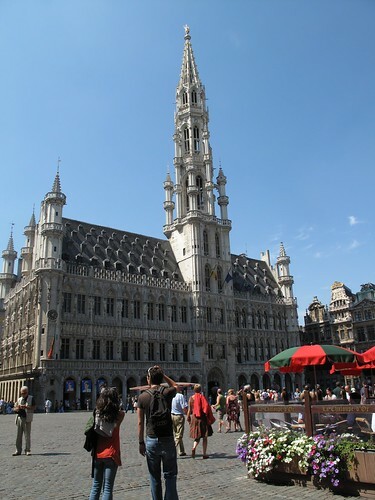 This Brussels attraction is a tourist hotspot and was voted as the most beautiful town square in Europe. Grand Place’s (or Groot Market’s) preserved Medieval architecture easily transports you to Brussels’ small town beginnings. Stand in the middle of the square and rotate 360 degrees to view the old guildhalls, the breadhouse and the towering Brussels City Hall. Try asking locals to tell you the conversations of the statues on top of the Grand Place buildings and you’ll be in for a funny treat. The restaurants in the square are pricier than the usual but if you don’t mind spending 1-2€ extra for a drink, sit and order a glass of biere blanche while you people-watch. Though, I best enjoy it by relaxing and sitting in the middle of the square with a supermarket- bought red wine (quality is still very good) and a platter of cheese. Grand Place is also the city’s most happening place with the Brussels flower carpet happening every other year in August and the Brussels Jazz Marathon every May. 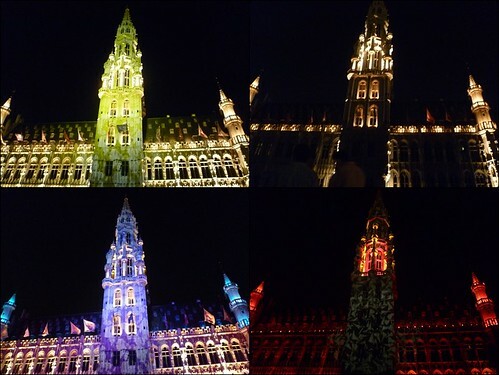 But do visit in winter during Plaisirs d’Hiver as the city hall becomes the façade of a stunning music and light show. I have a love-hate relationship with Gare Centrale. 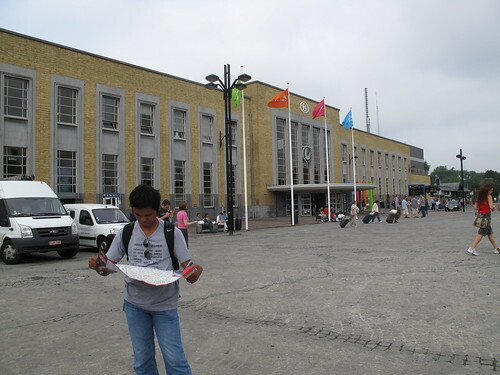 I hate it because it often stinks of garbage but love it because it serves as the gateway to everything in Belgium. With three hours or less of travel time from Brussels to anywhere in Belgium, get a Go Pass (10 train rides for 50€ for under 26/ 74€ for those over 26) for an easy daytrip to various Belgian towns. Don’t just leave Brussels yet. Wander around the Gare Centrale and catch the street musicians along the main hall for cheap musical treat. And if you are not into classical music, the Brussels from Lady Gaga to the Beach Boys, which is quite relaxing especially after a long day at work. On my first day in Brussels, my host took me for a five minute walk to this park and I was amazed that I live so close. 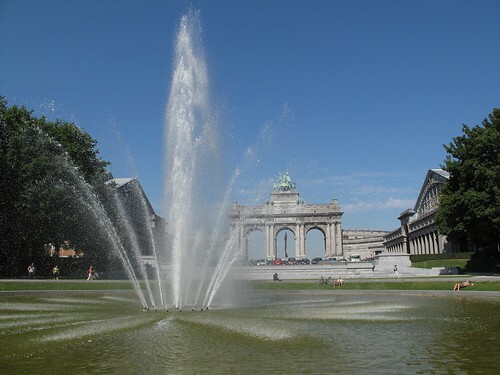 And since then, Parc du Cinquantenaire, with its triumphal arch and stunning arcade, became part of my Brussels daily life. This is where I walk on my way to work in the morning, jog in the afternoon and go to read a book or chill-out with my friends on weekends. Brussels doesn’t have a great cityline, however it is a treat to see the city’s Medieval and modern rooftops from Place Poalaert. 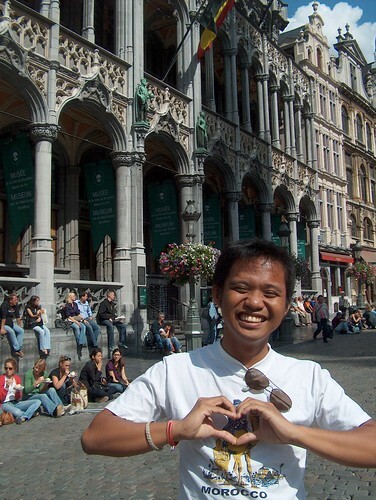 Try spotting Brussels city hall or Brussels’ own Basilique du Sacré-Cœur. And if you have perfect 20/20 vision, let’s see if you can spot the Atomium. 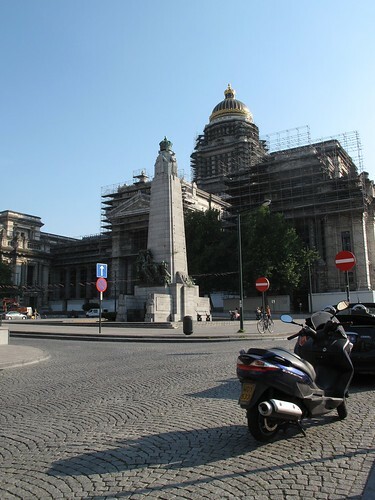 In summer, it transforms as one of the locations for Apero Urbains, but don’t get too drunk as the Brussels’ Palais de Justice is just on your right (though, I wouldn’t count on getting imprisoned as it has been in “restoration” for a long time now). Just a few metres away from Place Poelaert, Centro Cabraliego de Bruselas, a Spanish tapas place, is a testament to how Brussels is a melting pot of cultures. Here, I can order a Belgian beer and Spanish tapas to a French-speaking bartender and listen to a Scottish guy with bagpipes. And I come with my American, English, French and Taiwanese friends to make our own mini United Nations. But in spite of our different nationalities, we all agree that with its one-euro beers and cheap tapas, this place is worth a weekly visit. Upon entering the Musical Instruments Museum, they’ll give you a wireless headphone and pamphlet. Many people, including me, did ask: “What am I going to do with this?” From the headphones come the instruction: “go next to a displayed instrument, and the instrument tune will play automatically”. The interactivity of Brussels’ MIM is entertaining and helped me appreciate the hundreds of musical instruments on show. 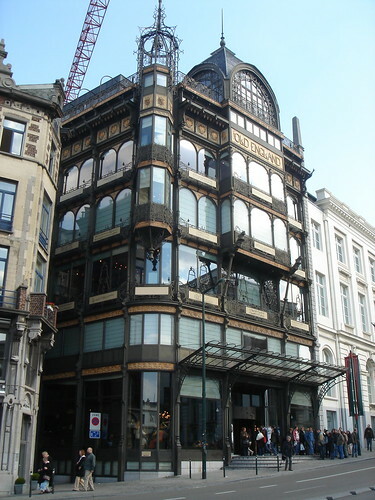 A friends” tip actually was to start the tour in the morning and finish the day with a drink from the atelier on top of the museum enjoying a stunning view of Brussels rooftops. One lesson I learned from two years living in Brussels is to never call fries “French”. This classic favourite didn’t originate from France but from Belgium. 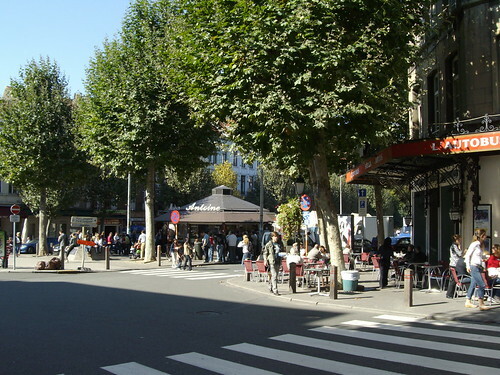 Belgians love their frites and the best place to enjoy it is in Friterie Chez Antoine. There are other places to get fries in Brussels, but this local place comes on top of my list. You may wait in line for 10 minutes before you get to order but the queues are there for a reason. Once you ordered, your fries will come in a cornet and sauce. TIP: Go beyond the usual catsup or mayonnaise and order it with sauce andalouse or the spicy delights – sauce brasil and samurai. In one of Brussels’ small alleys, you can find Delirium. 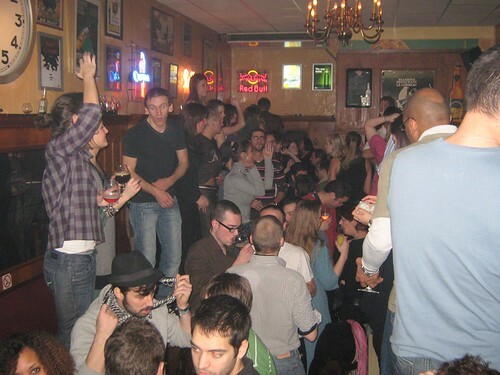 Delirium holds the world-record for having the most number of beers served from a single establishment. Ask for “Une bière s’il vous plait” and they’ll give you a two-inch thick beer menu. Browse the pages to see its 2000 beer selection and take your pick from coconut flavoured beers to Homer Simpson’s favourite beer – Duff. If you’re still clueless, ask the bartender for their advice and you won’t be disappointed. By midnight, this small bar turns into a local club where the furniture becomes the dance floor. Stand on one of the tables and chairs and dance until the morning. This place also offers international and French dance mix rarely found in other clubs in Brussels. Specifically watch out when they play a dance mix of Louise Attaque – J”t”emmène au vent as everyone just goes crazy. This is a place where local and young expats party on weekends so better come before midnight and reserve your dancefloor table. Spot the cow while walking along Rue Saint-Catherine and you’ll enter this quirky restaurant – Amadeo. The interior looks like a library and an American western saloon combined. Get rough and tough (and try to come with an empty stomach) to take full advantage of their affordable eat-all-you-can spare ribs. Truly, the meat-lover in me wasn’t disappointed in Brussels. After your first rib rack, raise your hand to receive your next one. 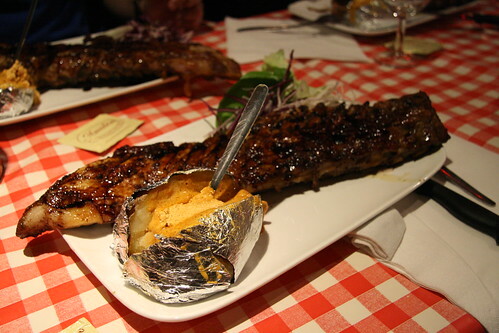 Though don’t fill yourself with ribs, as the delicious baked potato and its unique sauce should also be sampled and enjoyed. Try to beat my record of eating seven racks of ribs. Let me know once you get to do it! Not much into meat? Sample Rue Saint-Catherine’s other restaurants. My advice: head on to Hong Kong delight for its delicious roasted duck, steamed vegetables and its huge dimsum selection. Have you been to Brussels? What are your favourite places? I’ve recently turned 24 this week. And with this upcoming new year, I’ve decided to take a look back at the past year and relive the 23 best travel moments I had last year. Looking back, I’m really thankful for the great year I had and travel memories I’ve spent with old and new friends alike. In a year, I felt that I’ve experienced a lot of new things – and this post is a testament to it. 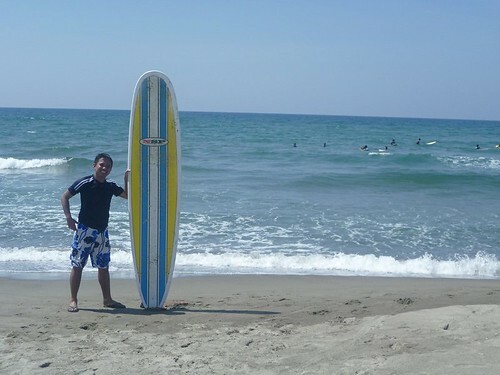 Lots of things happened this year, including moving back from Belgium back to the Philippines, that significantly affected my travel and personal life. On any case, I’m looking forward to start this new chapter of my life. I will definitely aim on continuing and finishing my travel goal. 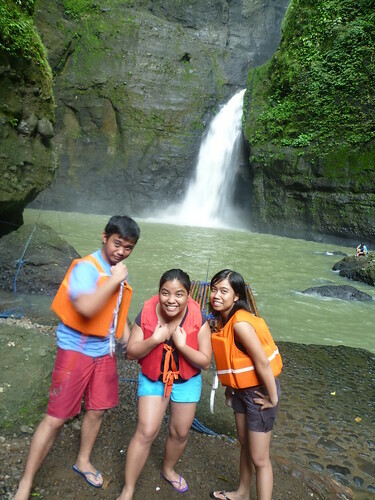 I hope for more moments like this, and definitely I’ll make sure that I’ll have the same or even a better year ahead!